You don’t often come across brand’s, or their staff, who are vocal about sponsorship on social media. Sure, there are those that are vocal about promoting or activating their sponsorships but not many that share their thoughts, ideas and experiences on sponsorship in a way that contributes to the industry. 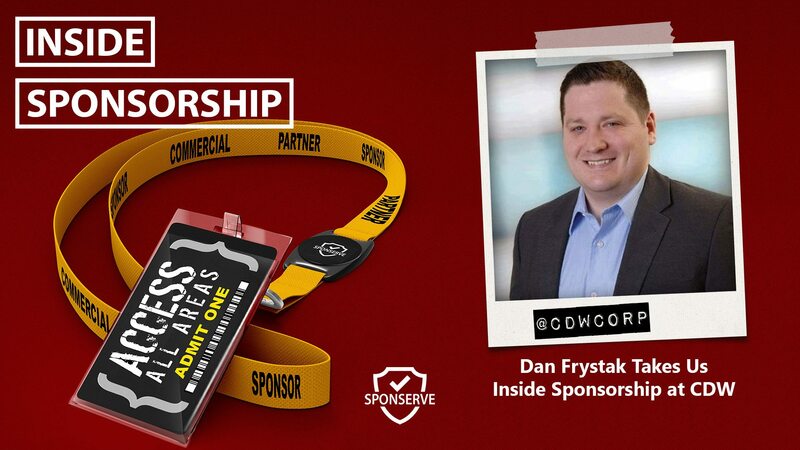 Dan Frystak, Senior Manager, Brand and Sponsorship at CDW, is different. Not only does Dan post on LinkedIn about things others don’t, he does so in a way that generates discussion and the sharing of other people’s ideas. That’s really valuable and that’s why we invited him on the show. It is an insightful chat, with someone on the brand side, who is willing to share their thoughts, views and experiences in an open way. You are going to love it. In the show, one of the things Dan talks about CDW’s sponsorship of the PGA and how they’ve integrated it with their support of Operation Homefront. Check out the video. You can connect with Dan on LinkedIn and find out more about CDW at www.cdw.com. Mark also joins us and builds on our recent blogs and podcasts around sales. Mark chats about his latest blog which looks at the three key people in an organisation, that you are trying to sell sponsorship to, that you really need to understand and navigate if you want to be successful.